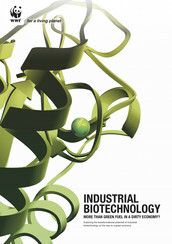 Industrial Biotechnology - More than green fuel in a dirty economy? This report concludes that the full climate change mitigation potential of industrial biotechnology ranges between 1 billion and 2.5 billion t CO2 per year by 2030, compared with a scenario in which no industrial biotechnology applications are available. This is more than Germany’s total reported emissions in 1990.